With so much information coming at us these days it can be hard to digest it all. You read blog posts, news articles, forum posts and social media comments. That's not counting the books and magazines that you read daily. It can be quite overwhelming at times. However, I do think that you should take time to read anything that you attend to share on social media. How do I know that people aren't reading what they share on their social media accounts? The reason that I know this is; I was letting someone guest post on my blog and I left it open so that they could post the content (You can do that with Ucoz). I had to eventually close it because someone else posted to my blog because I left it open (which was totally my fault). I was still upset though. Instead of a blog post they wrote two spam comments. Because I am a member of Triberr my blog posts stream from there when I write a new blog post. I noticed people had shared it. I was kind of disappointed because I did not want that shared. So, I knew that people couldn't have read it. It is very important to read anything you attend to share on your social media accounts. You want to give your followers the best content and how can you be sure of that if you aren't reading it yourself? Just like in my case a mistake was made and people shared that mistake all over social media. Of course, I went back and deleted it but it shouldn't have been shared in the first place. I was hoping people would see that it was a mistake. So, if you don't have time to read a blog post you can bookmark it or put it in your pocket. I like Get Pocket because you can read your content with all of your technological devices and it doesn't matter if you are not on your home computer. If you have a blog you know how coming up with content on a regular basis can be challenging at times. Sometimes you are on a roll and other times it seems like the roll has gotten stuck in a ditch and you cannot get it out. 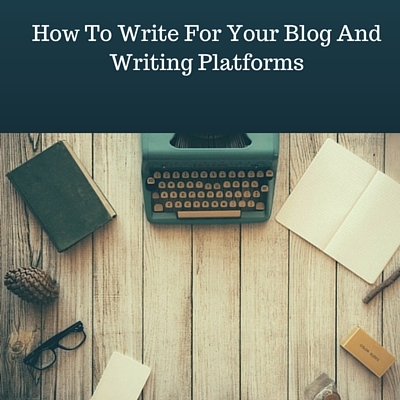 Not only do you have to come up with content for your own blog you have to come up with content for other writing platforms and for other blogs if you do guest posts. How are you supposed to write for all of these places and why should you write for other places than your own blog anyway? Because you need the exposure. You need people to find you. When you write at other places people get to know you and your writing and if they like what you are writing they will come to your blog. This is how you get exposure because, if people do not know about you they cannot read what you are writing. You have to get yourself out there to the people. Don't get me wrong this can be hard sometimes to do because, who doesn't want to keep all of their content for their own blog. The dilemma you will have is, "Should I Keep This For My Blog?" Generally, you want to keep the best for your blog and who wouldn't want to do that? However, sometimes we have to make sacrifices for the bigger picture. There really is no losing because, if you succeed in your goal which is for people to find your blog. You are winning. The problem you are probably having is how can I come up with content for your own blog and other places where you are writing. This is not hard if you know how to do it. I know some people just post the same content they have on their blog at other places but you don't want to do this. You want to give people something fresh to read besides, it doesn't look good posting the same content over and over at different places. It kind of looks like spam which is not something you want to be associated with. I'm going to give you an example. I wrote a blog post for this blog called,"Home-based business: How To Join The Perfect One For You". I wrote a press release which really is like a blog post for Ibotoolbox marketing platform and social network called "What Kind Of Business Should I Join?" The two coincide with each other. The first blog post tells you how to find the perfect home-based business and the second addresses the question what kind of business should you join. Do you see how I did that? The first tells you how to find a home-based business that is perfect for you and the second tells you what kind of business you should join. So, you have two different blog posts solving two different problems. You can do this to help you come up with content for your blog and other places that you are writing for. This is a way that will help you come up with content for the many places you are writing for. Keeping the content fresh for people who like to read what you are writing. Do you struggle with writing content for your blog and other writing platforms? Do you think this will help you? If you don't have problems what are you doing to keep fresh content coming for your readers. Please share in the comments below. Sharing is caring. The number one thing that we as bloggers continue to ask ourselves is,"How can we communicate with our audience better? What can we do better to make this happen?" 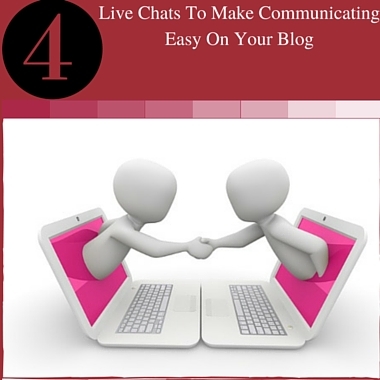 Having a chat on your blog is a great way to better communicate with your readers. Who doesn't like to have a question answered right then and there? Versus having to wait 24 hours or a day or two to. It's on site communication right there and right now. Has a live chat button you can put right on your blog or website. It lets your audience know when you are online to chat. This is listed in their suite of tools you can use. You can drop their one-inline install code into your site or app to to enable real-time social interaction. You can hosts chats right on your site. It's simple and easy. With Mylivechat you can engage your audience helping you to get more leads. Once installed you will see a popup asking your reader would they like to chat. A nice an unobtrusive way of communicating with your visitor. It also lets you know what page they are on so you can start chatting with them. With Customer 360 you can do video chats and can be enabled to interact with your customers through the mobile app. You can also do screen share for quicker support. I have given you 4 live chats to make it easy for you to communicate with your audience. This is another way to find out what your audience wants so that you can provide the content that they want to read. Did you think that I was going to share this information and not implement it myself? Of course not. I have just added a chat on my site as well. The name of the game is being able to help our audience as best as we can. This is a great way to do so. Happy chatting! Your blog is a place where you are sharing what you know. I think everyone should have a place where people can go and learn more. A community helps you do this. Having a place where people can just talk is very important. You can learn so much just from people asking and answering questions. You don't have to be an expert to have a community so don't feel like you do. A community is for everyone. You won't have to answer all the questions either. If someone has the answer or a better idea let them answer. This way everyone will feel like a part of the community. Everyone helping each other. I have learned so much just by participating in forums. There are always new things coming up concerning blogging and internet marketing. It's nice to be able to have one place that you can go to. That's why I started The Money To Be Made Community. Because I am not only a blogger but an internet marketer. I wanted to share things that has to do with those two subjects. I know some people just focus on blogging but I am doing both. So, I wanted to share somethings that pertain to both. The bigger your audience gets its important for you to build a community. If you haven't started a community yet. I suggest you do. This is a great opportunity to get to know your readers better. Join The Money To Be Made Community I would love to have you! Google analytics can be confusing. That's why I utilize other analytic tools. To me, they are simpler. I liked the way it was before Google changed it. Once they changed it, it became complicated. I still pop in from time to time but I admit I don't check it as much as I probably should. I check the other ones I use instead often. It's important to know the analytics of my blog/website. I need to know the who (visited), what (they looked at), when (they looked), where ( they came from) of my site. I love simplicity but who doesn't? I have found the perfect tool. 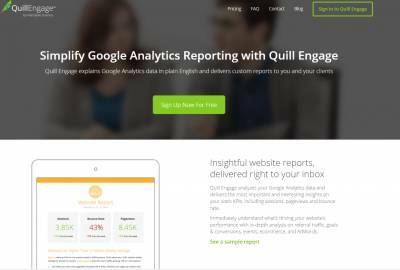 Quill Engage helps you analyze your Google Analytics report by sending you reports of your sites data to your inbox. The report includes: KPis, sessions, page views and bounce rates. It helps you to understand your websites performance with in-depth analysis on referral traffic, goals and conversions, events, e-commerce and Adwords. Everything is laid out for you in an easy-to-read format. Your report will come weekly and monthly. You will see how your site is progressing week to week and month to month. Below are my weekly and monthly reports. I can see what I need to work on to increase the time and page views on my site but decrease my bounce rate. This month hasn't been good so far. Last month seems to have done really well. It is still early in this month so I have time to work hard so I can achieve better results than last. I really like how it breaks everything down for you. I actually enjoy reading these reports. It makes you really want to do better than the previous month. This is just what I needed. I have seen a lot of analytic tools but these reports are like no other. They are so thorough. It is free for 1 Google Analytic review for 3 Google Analytic reviews it is $19.99 a month and for 10 Google Anaytic reviews it is $99.00 a year. Additional views can be added for $4.00 per view. If you haven't enjoyed Google Analytics lately like myself. You will now see it with fresh eyes with the Quill Engage reports. If you haven't been really understanding your Google Analytics now you will understand everything from A to Z. 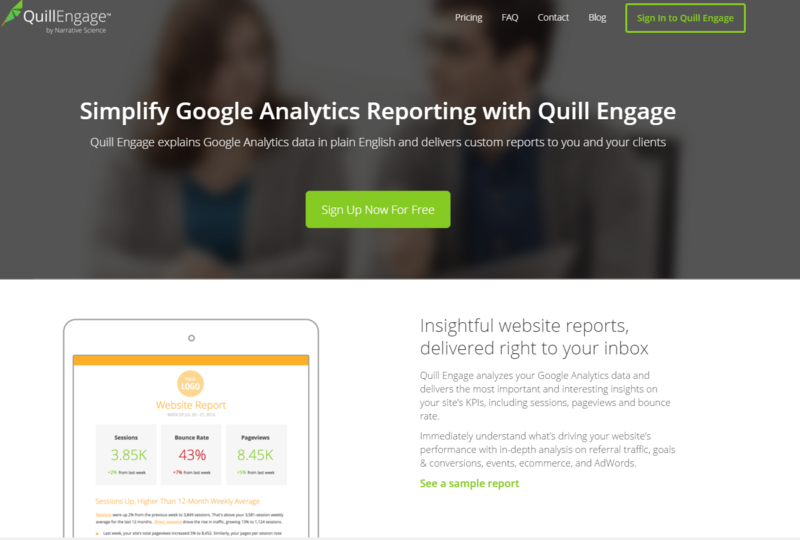 Start using Quill Engage to decipher your Google Analytics. Sometimes you need to capture the screenshots of a certain page that you are talking about to your audience. The last blog post that I wrote I took screenshots because I wanted you to see the what the dashboards of the sites looked like. You may need an image or a screenshot. All a screenshot is is taking a picture of your screen. It can be easy to do if you know what tools to use. I will mention some of the tools that I use to easily get this done. This is the first tool that I ever used to take a screenshot. It gives you four options which are: free form snip, rectangular snip window snip and full page snip. However, I like to use a square shape for my screenshots. With the free form snip I could draw a circle around what I was trying to capture. I needed form. With using the rectangular snip. I would try to hold down the part I needed to capture but it was hard using the touch pad on a laptop. I couldn't get it to stay long enough for the part I needed to capture. I would have to start over and do it over and over again. It became quite difficult. Also, with the window snip and the full page snip. It would capture the browser buttons at the bottom. I didn't want those to be captured. Don't get me wrong. I used the snipping tool for a lot of my screen shots. Mostly, when I was using my desktop as it is much easier holding the cursor with a mouse than a touch pad. Especially, when you are trying to drag the cursor to select the part that you want captured. That's when I found out about the Google Awesome Screen shot tool. The problem that I was having with the Snipping tool (because I was using a laptop) the Google Awesome Screen shot tool fixed. When I selected the part to capture the page I wanted it stopped and formed a square and I could just continue to drag it around the part I wanted captured. I didn't have to keep starting all over again like I did with the Snipping tool. Also when I captured a whole page the browser buttons didn't show at the bottom. It only captured the page within the screen and not the whole screen, which is what I wanted in the first place. I could also annotate if I wanted to. This was exactly what I was looking for. It made things a lot more easier. This tool captures the whole page. I have used this on many occasions as well. This too, only captures the window and not the browser buttons at the bottom of the page. It's really quite simple. You are just capturing the page. Nothing fancy. If you want only to capture the whole page you will use this tool. To get the Google Browser Extensions go to the Google Web store. As you can see all of these tools have benefits and they make taking screenshots a lot easier. 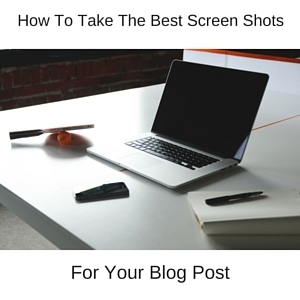 There is no reason why you can't have the perfect screenshots for your blog posts if you are using these tools. 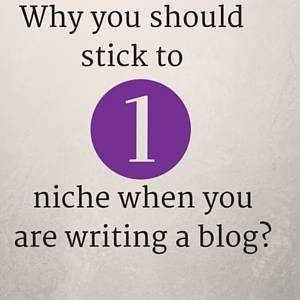 Why You Should Stick To One Niche When You Are Writing A Blog? If you like to write you probably have all these topics that you would love to write about. Usually, many of us have more than one interest. Once we start blogging sometimes we think that just because we have these interests and like them our audience will too. However, this is not the case. If we start out writing about one topic and end up writing about another it will be confusing to our audience and they will become annoyed and rightly so. Especially, if one topic does not encompass the other. For instance, I write about blogging and internet marketing but I now start to write about handbags (which is something that I love). These two topics do not go together in the least. All of my readers will start to wonder what in the world is going on. I thought this blog was about internet marketing and blogging. I could lose all of my readers. Which is something that I wouldn't want to do. Now, some topics encompass each other. For example, take shoes this can be a wide variety. Boots, sandals, gym shoes, dress shoes, house shoes, men's shoes and women's shoes. I could write about these all in one topic or I could take each topic and write about it individually. Do you see what I mean? If your blog is about shoes people will come to read about shoes and there are many kinds of shoes. So, you could write about different kinds of shoes. It's easy to make this mistake when we first start out blogging. I think sometimes we may not be set on one topic solely or we get bored writing about the same topic all the time. There is a way you can write about more than one topic without losing your readers. Read,"How To Write Off Topic And Keep Your Blog Readers." This is an easy way to write about other topics that you enjoy and also not have to worry about maintaining another blog. Sometimes you just can't have a blog for all of the topics that you love. If you have more than one blog you definitely know what I mean. There is only so much that we can do in a day. If you are a mommy blogger or if your blog is a review blog. Then, you can write about more than one topic because people expect you to write about these topics. Mom blogs consist of what a mother's day is about and her children. She writes about: cooking, recipes, school, activities, and vacations. With a review blog you are reviewing different things that you like or think will be useful for your readers. You can still do reviews even if your blog is about one niche. Just write about reviews that pertain to the topic of your blog. You might think this is hard to do but it is actually very easy. As I said before if what you write about encompasses many topics in one. This is what you can do to keep your main focus on just one topic. Find out if what you are writing about encompasses many topics in one then you can branch out to these topics without leaving the niche that you are writing about. Read news, magazines, and even other blogs to see what is going on in the niche you are writing about. Research every thing you can about your niche. Stay updated with all the happenings that are within your niche. Write about things that excite you about your niche. What you love about it or what you don't love about it. Ask your readers what they would like to know about it. Talk about it in forums or communities. Hang out with people who are in the same or similar niche as yourself. When you feel that you might be getting side tracked think of why your readers come to your blog. Have you ever lost readers because you started writing about more than one niche? What did you do? Did you lose readers? Did people stop coming to your blog? Did you have to start a whole new blog? What was your experience? Tell us in the comments below. With Google cracking down on every little thing these days. It's best to try to write good content. Every blog post that you write will not be long and that is okay. It just depends on the topic that you are writing about. However, you want to at least have more than a couple of long blog posts. People like to read blogs where they actually are reading something. Have you ever read a blog post but just felt like there should of been more? It's like the blogger took a short cut when they should of taken the original route. I know some of you think that people really don't have time to read long blog posts. They will just scroll quickly through to the end. Maybe they don't have time at that moment but they can always bookmark it or put it in their pocket to read later. So, it's not like writing a long blog post is really an inconvenience to it's reader. People take time to do the things that they really want to do. So, don't think that you writing a long blog post is burdening someone. Now let's get down to the nitty gritty of writing a long blog post. First, you want to start with the introduction. What I wrote above would be considered the introduction of this blog post. I am leading up to the main parts of this blog post. I am talking about some of the reasons why writing a long blog post is beneficial to it's reader. You can break it down further by asking yourself,"What are the reasons someone would want to read a long blog post or Why is it better?" Then you write about those reasons. To make it easier for you, you can write a list. Now, we come to the first part of this blog post. Writing long blog posts is associated with writing good content. Why, is that so? Because writing quick and short blog posts all the time is equated with spam. Not all the time is this true but many times it is. Usually, then they ask you to purchase something. You've seen them. Usually, long blog posts are telling you something. The blogger has something to say to it's reader. They are teaching or explaining or sharing with you something. While, a short blog post is usually because the blogger doesn't have much to say. Not all the time but I will have to say the majority of the time it is. Here I have listed reasons why short blog posts all the time are not good. 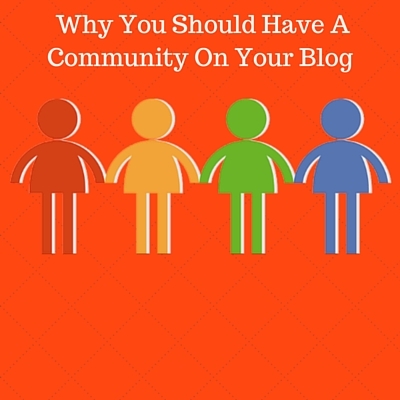 You could ask yourself,"Why long blog posts is associated with good content?" This question helped in finding what some of those things are. We are on the second part of this blog post. People like to read long blog posts more than short blog posts. If you are an avid reader like myself. You like to read. I would have to say the majority of blog posts readers like to read. So, if you like to read when you read a blog you actually want to be reading something. It's like cutting a good story short or reading a novel and you are left wanting more. Usually, when you are helping someone out you are explaining something to them. That does require a little bit of time. Three or four sentences just doesn't cut it. A question to ask was, "Why do people like to read long blog posts?" This helped in finding out what were some of those things. Now, we come to the third part of this blog post. Not everyone likes to read long blog posts. Yes, that is true. Sometimes we need things quickly. They may not have the time. They don't have a lot of patience. They really don't enjoy reading. You might lose these readers. You might. The fact is you can't make everyone happy even though we try our best to do so. You have to go with what the majority likes. If you really want to know you can take a poll. As I said before. Not all blog post will be long. That's okay. Sometimes, there isn't much to say or needs explaining. I asked the question,"Why someone might not like to read long blog posts?" I wrote the questions in this blog post just to give you examples. Kind of like learning as you go. I know sometimes it helps if you can see an example of how to do something. I didn't write a fourth paragraph but if you have more that you want to talk about you can add a fourth paragraph. Elaborating does help when it comes to writing longer blog posts. You can also use more than one picture to help stretch a blog post. I, myself usually just use one but on some occasions I have used two pictures. To help keep count of how many words you for your blog post use this free online word counter tool. I hope this was helpful to you. If it was please share by using the share buttons below! Go ahead and write those long blog posts! Your readers can't wait to read them!